I'm getting ready for another semester of teaching but definitely feeling ready for a change in direction at this point. A long (for me) run out to Boulder Creek on the White Rocks trail put thoughts of spring in mind and new ways of thinking. Perhaps one of the great things about climbing is that it is very obvious when you are not prepared for the task at hand. This awareness can extend to every area of life and is a useful check when you feel like things are in retreat mode rather than progression. Sometimes it can be a fine line between the two. Hopefully this year will see some progress in all areas including climbing. On a sad note, the death of Sir Edmund Hillary marks the true end of the Golden Age of mountaineering. His ascent of Everest in 1953 was a significant closing of a frontier of exploration, matched in its impact only by the 1969 lunar landing. Perhaps even more pioneering was his focus on education for the people of Nepal as he became a philanthropist soon after the ascent. Maintaining he was only a beekeeper from New Zealand, Hillary became an international symbol of genuine greatness of character, a rare fate for members of the climbing community. Few climbers have made such a difference in the world at large. For a interesting set of thoughts on climbing and life, visit Stephanie Davis' blog at http://www.highinfatuation.com/blog/. She is certainly exploring life at the edge and her analysis of risk, fear, and reward is well worth perusing. 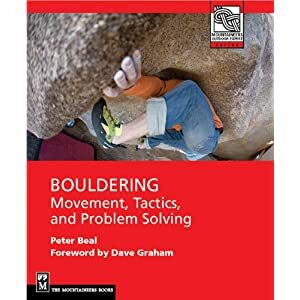 Also check out http://www.flagstaffmountainbouldering.blogspot.com/ for an in-progress online guide to Flagstaff from Chip Philips. On the whining front, the setting at the Spot needs some review. I can flash and generally climb up and down most of the four and four plus problems but get repeatedly shut down on fives. It may be time to expand and refine a grade category that goes from roughly V6 to V12 and beyond. And maybe the focus on straight-on jumpy pinch problems could be relaxed a wee bit at that grade. I have offered to help set there and maybe sometime will get the chance. The new walls at CATS are up and are much bigger than before--very promising except that there is virtually no room for climbers to sit down without being in the landing zone. Pictures will be up soon. Also best wishes to Andy Mann for a quick recovery from a serious ankle injury at Hueco. Everyone be careful outside and inside. Thanks Peter. The ankle is healing up well I think. Good luck this semester!